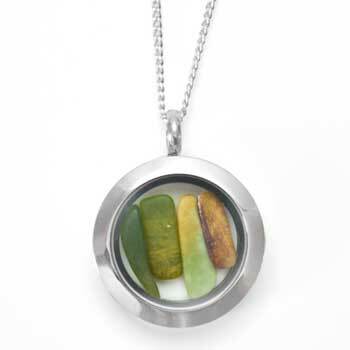 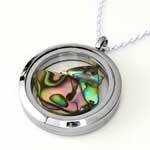 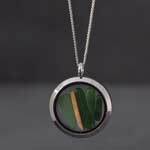 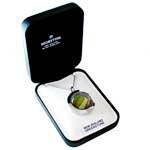 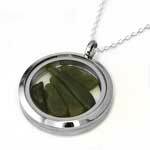 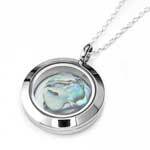 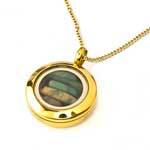 This stunning locket is made from stainless steel and glass. Through the glass are captured free flowing pieces of New Zealand greenstone. 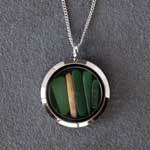 This is really an amazing unique piece which will have everyone talking about it. 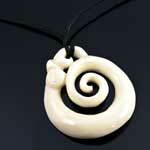 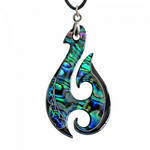 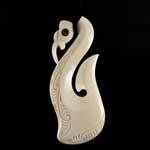 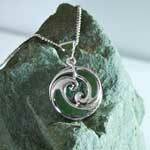 Hung on a sterling silver chain. Presented in a black presentation jewellery box.